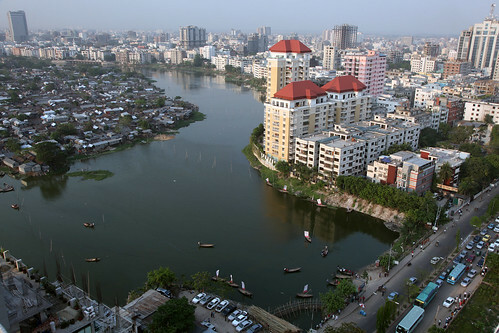 View of Dhaka, Bangladesh, from the roof of BRAC's 20-story headquarters building on Tuesday, April 17, 2012. BRAC is the largest NGO in the world with over 100,000 employees in countries including Bangladesh, where BRAC was founded after independence from Pakistan in 1971. The slum in the photograph is Karail, the largest slum in Dhaka.